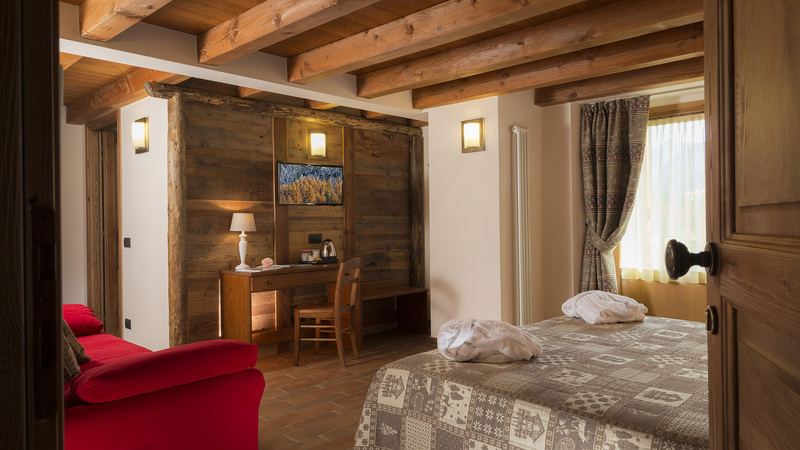 Drésalwoald has five rooms and a Suite. 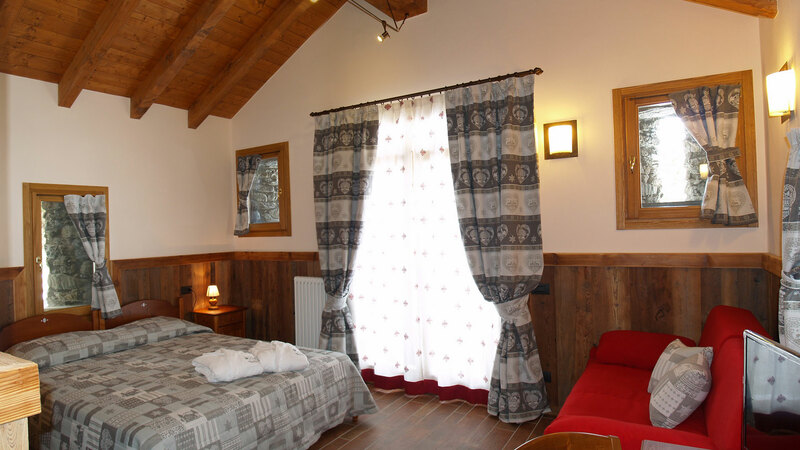 Tastefully furnished, they have self-contained heating, flat-screen TV with satellite and SKY channels, free unlimited WiFi, safe, private bathroom with hairdryer and large shower. 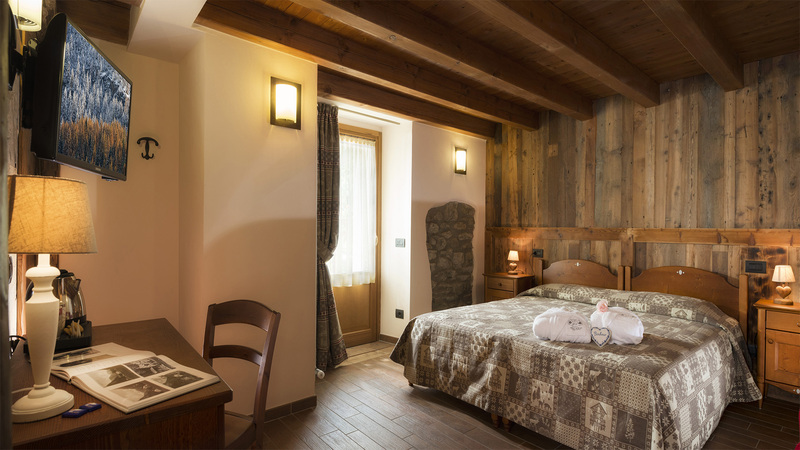 The two superior rooms have a larger surface area and feature a typical balcony overlooking the golf course and the magnificent Gressoney meadows. 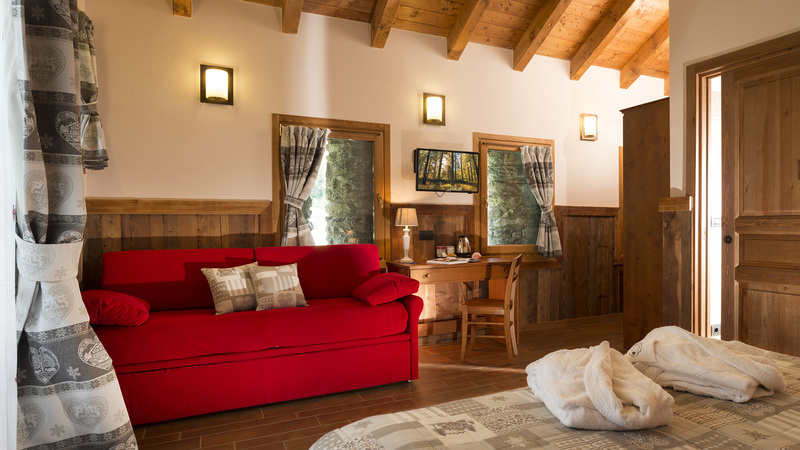 The Suite, built in the ancient barn, offers a gorgeous view of the massif of Monte Rosa from the north-facing window pane. 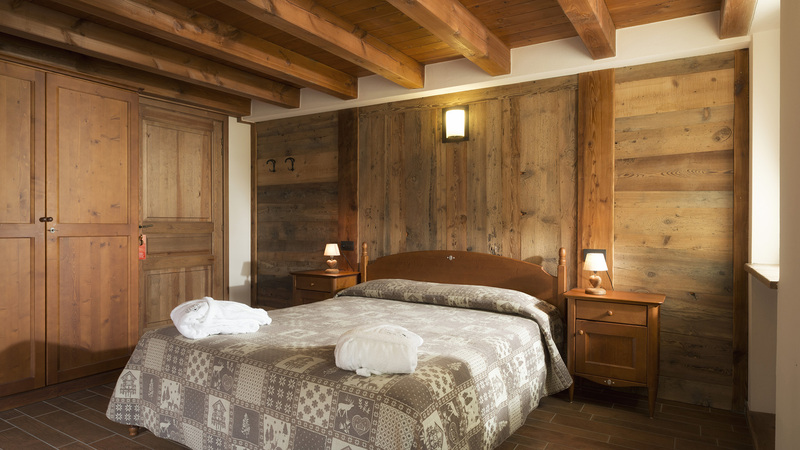 Respecting the architectural style of the house, the openings once used to dry hay have been kept.